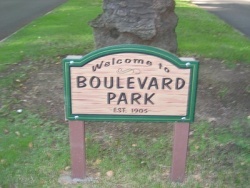 Boulevard Park was the name chosen by developers while transitioning the area from the Union Racetrack to a well-to-do neighborhood. The racetrack was originally encompassed by a brick wall and once held the California State Fair horse races for 40 years. When the racetrack moved to the State Fairgrounds on Stockton Boulevard, the area was transitioned into a residential area, lined with Craftsman and Colonial Revival homes. The name Boulevard Park references the distinctive grassy strip on 21st and 22nd streets—the only area in Midtown with such medians. Boulevard Park is one of the most exclusively residential neighborhoods in Midtown Sacramento. However, their are a few retail, commercial, and restaurant sites in the neighborhood–most of which are concentrated on the I Street corridor or in the area West of 18th Street. The Croatian American Cultural Center is a non profit organization whose main purpose is to promote the Croatian name to the local and surrounding communities as well as to preserve and endear the Croatian culture for future generations. 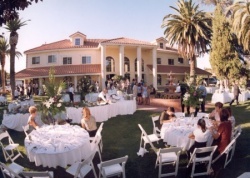 The beautiful Mediterranean-style hall, spacious grounds, and outdoor stage of the Croation American Cultural Center provide a perfect setting for your wedding, reception, fundraiser, anniversary, or other special event. Catering service delights guests with a variety of delicious menu options. Professional staff provides exceptional service and ensures an unforgettable experience. Stop by to find out why the Croatian American Cultural Center is one of the most sought after venues in Sacramento. Downtown Davis is a delightful 32-block shopping, dining, and entertainment destination in the heart of the university town of Davis, CA, located 15 miles west of Sacramento. It’s a place to gather with friends and family to enjoy a walkable shopping district packed with vibrant entertainment, dining destinations, and community events. It’s convenient, close, fun and easy to explore. Downtown Davis is energized by the people who work, live, and visit here, offering the friendliness of a small town, with the culture of an innovative, creative, and forward-thinking community. Discover over 700 retail, professional, and service businesses, including more than 70 restaurants and cafes, 13 movie screens, three art galleries, five hotels, and more. What are you waiting for? Stop by, say “Hi,” and stay awhile. 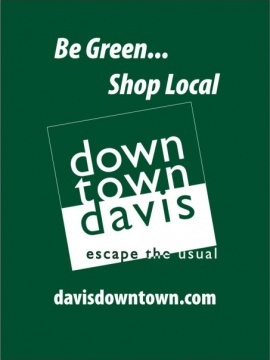 Friendly to pedestrians and bicyclists alike, Downtown Davis presents an appealing, vibrant cornerstone to the larger community and the UC Davis campus, offering shopping, dining, arts, and entertainment. Downtown Roseville is the Heart of Roseville, where the history of Roseville resides and where the community celebrates various cultural events together year-round. It’s rich with unique, one-of-a-kind businesses serving you to historic buildings that provide the backdrop for a stroll down memory lane. Downtown Roseville is easily accessed from I-80 and from each neighborhood surrounding the downtown area. 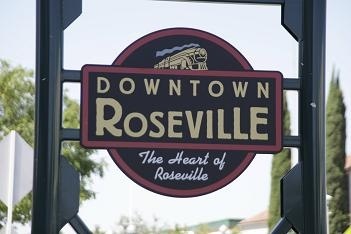 For a map of Downtown Roseville, click here. Downtown Sacramento’s walkable, 66-block area is the entertainment and dining destination of this region. With the region’s best restaurants, theatres, and attractions within walking distance, it’s no wonder why this urban district continues to evolve and grow. Sacramento’s rich history and culture makes it a great place to spend the day and make memories with your family. 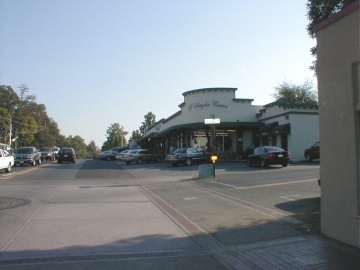 Fair Oaks’s town center is known as Fair Oaks Village. The Plaza Park Amphitheater is located in this part of town. The Fair Oaks Theatre Festival takes place here. The village area is also home to Spring Fest (formerly the Fair Oaks Fiesta) which is a celebration of the residents of the community of Fair Oaks. It is interesting to note that this area is known for its chickens. They run wild all over the village. They inhabit the two small parks in the old town area, and can often be seen fighting, begging for scraps, or roosting on the playground equipment. The W.P. 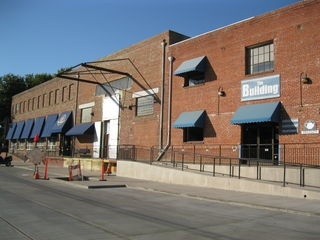 Fuller Building houses Fox & Goose and several other businesses, including: ARTHOUSE: Artists Upstairs, INFORM Design, Rumpelstiltskin, Tea Cozy, Arareity, and Adamson Gallery. The building is unique and eclectic with its sculpted metal furniture out front to its four indoor gardens. Fusion International Arts Center is a place where the arts ignite learning. 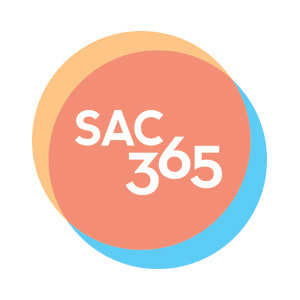 The center’s goal is to bring the very diverse inhabitants of Sacramento together in one place and to communicate through the arts—dance, music, art, and theatre. Communication and education through the arts require appreciation and open minded thought. The goal is to build confidence and trust in others while fostering artistic talents. Fusion International Arts Center has many classes and events to bridge the gap of diversity and cultivate greater understanding and appreciation of all cultures. The center is a hub for cultural understanding and knowledge. Harris Center for the Arts is a $50 million facility dedicated to the performing and visual arts. Artists arrive from around the world, and throughout the community, to the newest arts venue in the capital region. 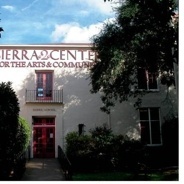 Harris Center marks an enormous change in this area’s arts scene, and it just might change the way you, your friends, and family experience the campus, the city of Folsom, and the multicultural world of performance. 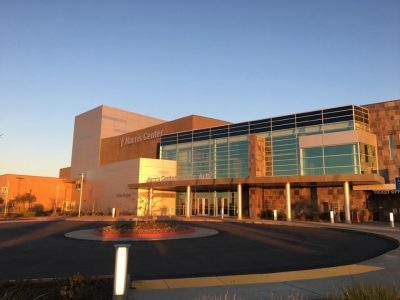 Funded by state and local bonds, with additional support from the Los Rios Community College District and donations to the Folsom Lake College Foundation, the performing arts center is a beehive of activity, with over 400 events annually. The presenting program brings touring artists from all over the world. Harris Center is an engaging partner to some of the finest local and regional companies in dance, music, and theatre. Harris Center deepens the educational experience of Folsom Lake College, giving students and faculty a facility in which to develop their craft and present it to family, friends, and you. The Chinatown Mall is a vibrant link between the Downtown Mall, Old Sacramento, and the Sacramento Railyard. It is a prime location where families come to enjoy the arts and the cultural and historical heritage of the Chinese-American community. During the Gold Rush, this area was largely populated with Chinese immigrants. In the 1960s, the Sacramento Redevelopment Agency began the establishment of a Chinatown Mall in the area where the Confucius Temple had just been built. Today, Chinese family association halls, elders, and a Chinese language school help keep Chinese culture alive. The mall is located between 3rd & 5th Streets and I & J Streets in Downtown Sacramento. The Sacramento Italian Cultural Society offers language classes at every level, special classes for travelers, heritage programs for children, food and music festivals, trips to Italy, the region’s largest Italian lending library, cultural and art exhibits, free film and lecture series, and much more. The new Italian Center is located in Carmichael. Its completion represents the hopes, dreams, and aspirations of the Italian community of Northern California. Finally, there is a home of our own where we can celebrate our cultural heritage and build our community. 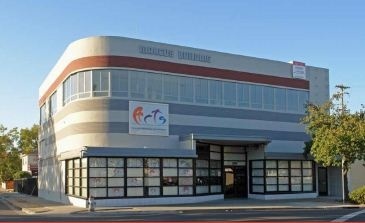 Located in the Sierra 2 Community Center, the Sacramento Italian Cultural Society offers language classes at every level, special classes for travelers, heritage programs for children, food and music festivals, trips to Italy, the region’s largest Italian lending library, cultural and art exhibits, free film and lecture series, and much more. Sacramento’s K Street Mall (now branded as “The Kay”) is a pedestrian mall situated in the heart of the downtown area. It is bounded on the south by L Street and the State Capitol, to the north by J Street (a major cross-town connector), the Downtown Plaza on the West end and the Convention Center to the East. Although K Street begins again at 15th Street and extends into Mid-Town Sacramento it is the seven blocks from 7th Street to 13th, commonly known as the K Street Mall, that locals think of first whenever K Street is mentioned. 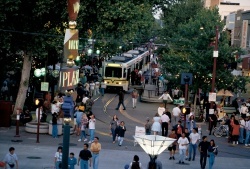 K Street Mall has shopping, dining, and entertainment. Additionally, the Mall is home to several lightrail stops making it easy to access. 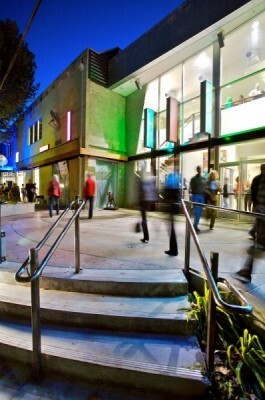 MARRS (Midtown Art, Retail, Restaurant Scene) is one of the most original shopping districts in Sacramento. Located in the heart of Midtown, MARRS acts as a conduit to the arts, retail, and restaurant scene. 1st Floor Tenants: Low Brau, Asha Yoga, Mr. Pickles, Sacramento Comedy Spot, Azul, Luigi’s Slice & Fun Garden, Denim Spot, Lululemon Athletica, Peet’s Coffee & Tea, Team Solutions Group. 2nd Floor Tenants: Heller Pacific, The HLA Group The Louis Berger Group Inc., LAN Inc., Turton Commercial Real Estate, Cambria Solutions Inc., Interface Engineering, DLR Group. Midtown is a neighborhood just east of Downtown Sacramento bounded by W Street on the South, C Street on the North, 16th Street on the West, and 29th Street on the East. Midtown has diverse offerings around the main retail and restaurant corridors throughout J, K, L, and Capitol Avenue, from 16th to 29th Streets. 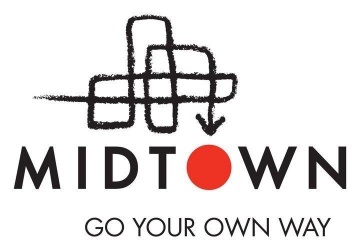 Shopping, dining, beauty services, business services…you can find all of it in Midtown! The Midtown community is diverse, with many historic sites such as Sutter’s Fort, as well as well-preserved historic buildings throughout the community. It has a large residential community with tree-lined streets and old Victorians. 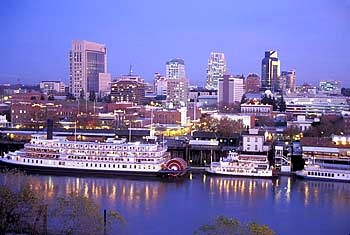 It is also the center of Sacramento’s art, music, and cultural scene. Boutiques, bars, clubs, upscale, and casual dining abound, especially along the J, K, L, and Capitol Corridors, and on the 16th Street and 28th Street corridors. Midtown is known for being pedestrian-friendly and bike-friendly with continuous marked bike-lanes throughout the neighborhood and a bike path connecting to the American River Parkway which extends to Folsom. Public transit consists of light-rail lines running down R Street connecting the neighborhood to the metropolitan area, and bus lines serving the central city area. Old Sacramento State Historic Park is a cluster of noteworthy, early Gold Rush commercial structures within Old Sacramento. Historic buildings include the 1849 Eagle Theatre; the 1853 B. F. Hastings Building, once home to the California Supreme Court; and the 1855 Big Four Building. Old Sacramento’s historical significance comes from it being the western terminus of the Pony Express postal system, the first transcontinental railroad, and the transcontinental telegraph. 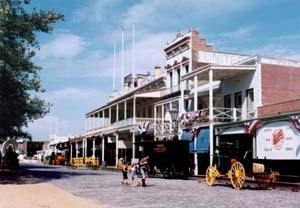 Old Sacramento as a whole is a California Historical Landmark. The National Park Service named the entire original historic 1850s business district of Old Sacramento a National Historic Landmark in 1965. With over 50 historic buildings, Old Sacramento has more buildings of historic value in its 28 acres than any area of similar size in the West. View this brochure for a map of the area. These 28 acres on the Sacramento’s historic waterfront were the site of both tragedy—fire and flood—and triumph—the raising of the streets, the founding of the Transcontinental Railroad, the terminus of the Pony Express, and the home of California’s first thriving business district, fueled by gold, agriculture and the river. Due to past and current efforts by the State of California, private and public museums, individuals, business, the City and County of Sacramento, the Historic Old Sacramento Foundation, scores of volunteers, and many others, the Old Sacramento Waterfront lives on as thriving shopping and entertainment district as well as a global tourist destination. St. Rose of Lima Park is at the joining of the K Street outdoor mall and the Downtown Plaza Mall. This location features many family-friendly events, including the Downtown Ice Rink during winter months. It is also adjacent to the St. Rose of Lima Park light rail transit station. Various businesses along Del Paso Blvd have joined together to support Arts & Culture in "Uptown" Sacramento. This area of Del Paso Blvd is host to art galleries, restaurants, theatre houses, and dozens of other venues. A vibrant and eclectic mix of Midtown’s most popular establishments concentrated in a two block area. 25 establishments (22 independent). Located between 17th & 19th St and L St. and Capitol. The Sutter District is an eclectic group of restaurants, bars, and nightlife located in original Midtown and bordered by historic Sutter’s Fort and Marshall Park. 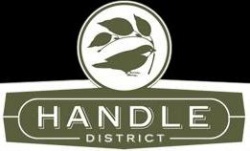 Come explore the District! Included in The Sutter District are: Biba, Paragary’s Bar & Oven, Centro, Cafe Bernardo, Harlow’s, BARW3ST, Blue Cue, Monkey Bar, Ink, Red Rabbit, and Momo Lounge. 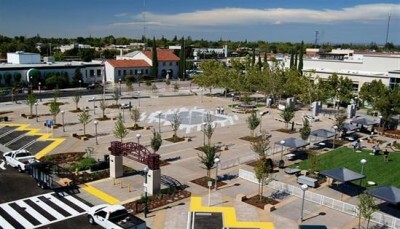 The Vernon Street Town Square occupies the property directly adjacent to the Roseville Civic Center on the 300 block of Vernon Street. The square is bordered by Oak, Grant, and Vernon Streets. The purpose of the Vernon Street Town Square project is the establishment of a public destination space full of events, activities, the arts, and, most importantly, people. The project has resulted in a visually attractive, pedestrian friendly, ADA compliant area. 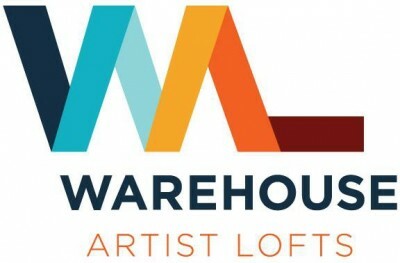 WAL Public Market is located on the ground floor of the WAL Artist Lofts in the historic Lawrence Warehouse in midtown Sacramento. You can find excellent food, clothing, art, rare collectables, music, and even Moroccan rugs.